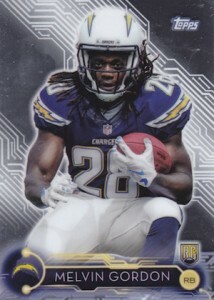 Similar to 2014, collectors can once again track down exclusive cards at retail for key 2015 NFL rookies thanks to 2015 Topps Mega Football Boxes. 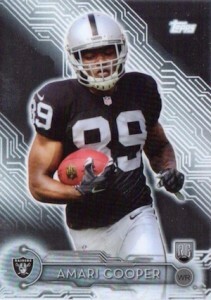 The product mixes flagship Topps Football and Valor packs with exclusive Chrome rookie cards. Including seven 2015 Topps Football packs, two hobby packs of 2015 Topps Valor and three Special Edition Chrome cards, the boxes mix a solid variety of cards for a retail price of around $20. The six-card checklist is quite manageable with three cards per box. 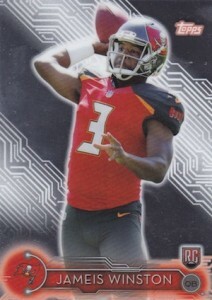 The full set showcases the top names of the 2015 NFL Draft, inclduing Jameis Winston, Marcus Mariota, Amari Cooper and Todd Gurley. In addition to the base versions, there are also Refractor parallels. The parallels are not numbered and the odds are not known. View the full checklist and gallery using the tab above. 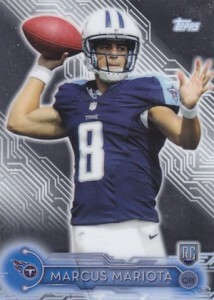 2015 Topps Mega Box Football Refractors #2 Marcus Mariota Tennessee Titans Hot!! 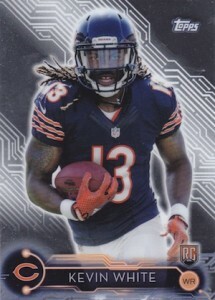 2015 Topps Mega Box Kevin White RC Special Edition Chrome!! Chicago Bears!! 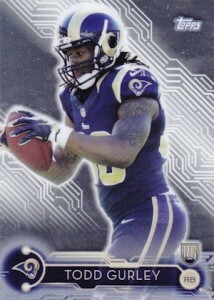 Todd Gurley 6- 2015 Topps & Chrome 1984 Holiday Mega Rookie RC Lot LA Rams Hot!! 6 cards. 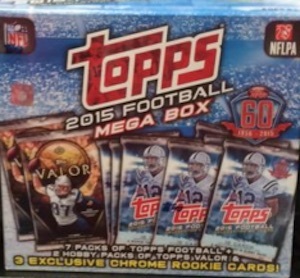 3 per Topps Football Mega Value Box.